Making Chinese food with my Dad has become one of those experiences that leads to great food, dirty dishes, lots of laughs, and full stomaches. One year our bird, Studley, ‘got hungry’ and flew into the bowl of fried rice- no one was happy then. Or we always seem to bring up the time when my brother, Dad, and I made chinese food and the kitchen looked like a nuclear holocaust. Food on the floor, sauces dripping down the cabinets, spills in the fridge, and a sink full of bowls. Of course everything was worth it since the food is always amazing. We have made shrimp with lobster sauce, chicken with cashews, chicken and shrimp chow mien, and, as always, fried rice. When my Dad came to visit a few weeks ago we planned on making chinese food so he brought up some of the ingredients and his wok. This excited me to no end. It had been so long since I had the fried rice. Sure, you can get fried rice at your local chinese food restaurant, but I have to say that it’s not the same. I find the fried rice from most chinese food places has too much soy sauce for my preference. 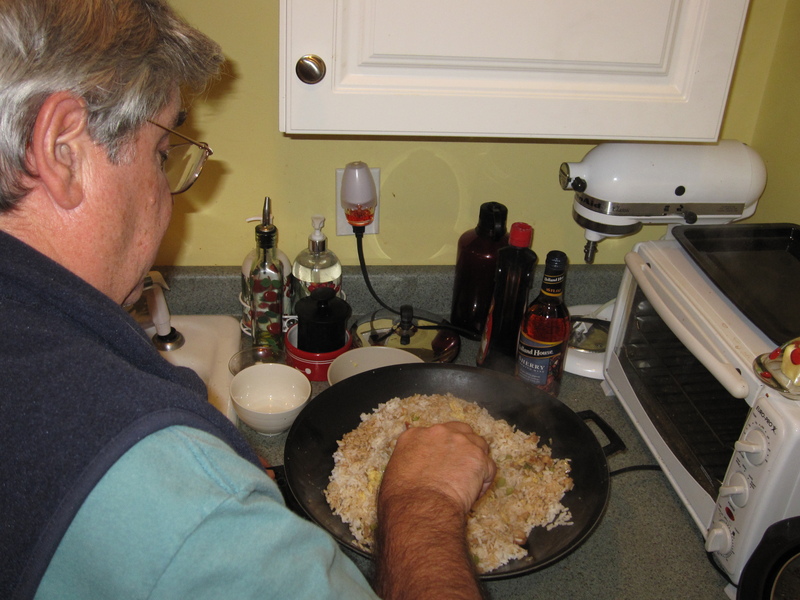 So that is why it is worth it to take the time to make amazing fried rice. Marinate the meat in the sauce for 30 minutes to an hour. Cook 3 cups of rice accordingly. Add 1 TBS. of oil to a wok on medium heat. Add the eggs into the oil and break them into bite size chunks while scrambling them. Cook until they begin to set. It is very important not to cook them entirely as there will be carry-over cooking. 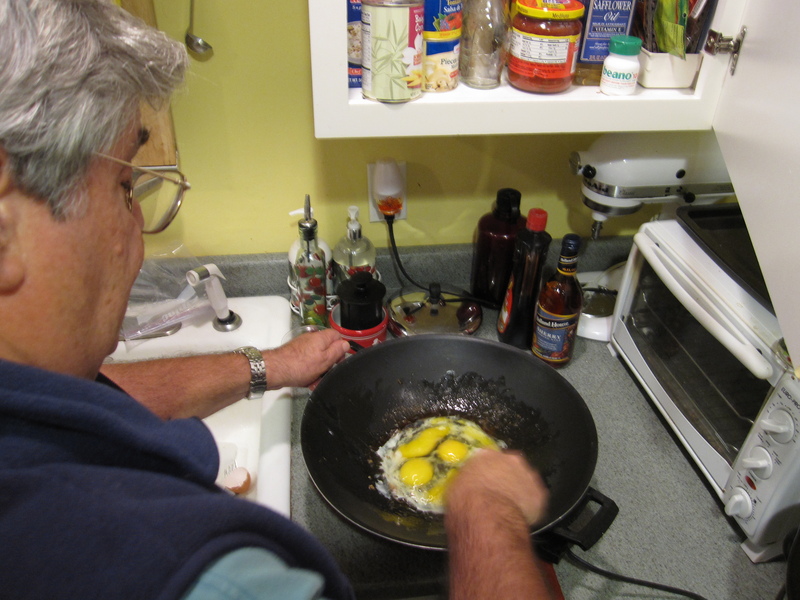 Put the eggs to the side until ready to use them again.Add the rest of the oil to the wok. Add the onions and stir-fry for a minute. Push to one side of the wok when done. 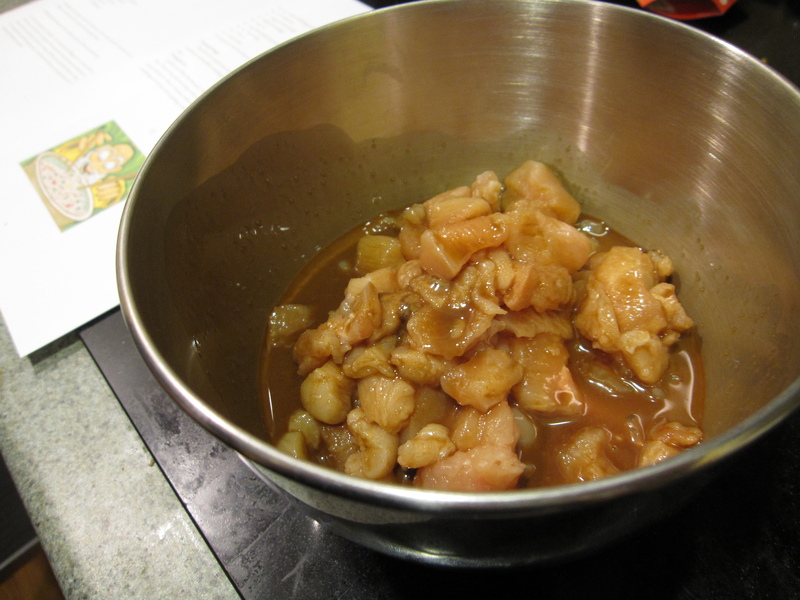 Then put the meat and celery in the wok; stir-fry until the meat is beginning to brown. Add the rice, soy sauce, and pepper; Mix that for about 2 minutes/until everything is coated. 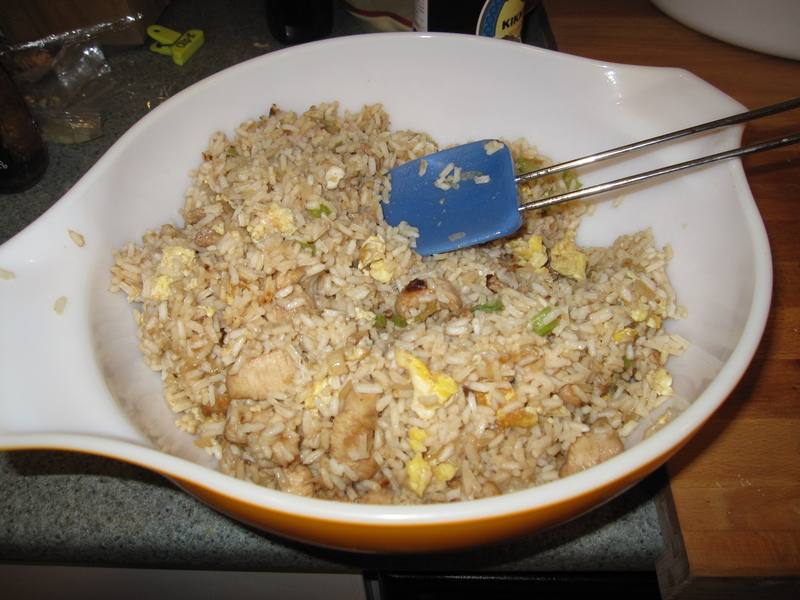 Then add the diced scallion and the reserved scrambled egg and stir-fry until everything is well mixed. ** If you use shrimp add the celery a minute prior to the shrimp because of cooking time.